Food quality is another concept of crucial importance in understanding consumer attitudes to organic food. This concept also needs to be opened up, and its specific contents must be investigated thoroughly in any given context. A number of definitions have been suggested and applied, some of them technical, others less so. Evaluations of the quality of a food product often focus on different levels of property. For example, a distinction might be made between a) directly visible properties (e.g. shape, color, size), b) easily recognizable properties (fragrance, taste, consistency), and c) properties which are less easily detected in the purchasing situation (keeping quality, nutritional value) (Meltzer et al. 1992). Some quality definitions treat the quality of a food product as equal to the sum quality of its parts, while others reject such an equivalence (see, for example, Klett 1986), claiming that the emergent properties of the whole go beyond the sum of the parts. A holistic approach to the measurement of food quality, suggested by Meier-Ploeger and Vogtmann (1991), includes social, psychological, environmental and political dimensions. This means that quality may encompass all of the aspects and concerns mentioned already – and more. It is evident that expectations of product quality are as high for organic foods as they are for conventional foods. Indeed in some cases the expectations are higher for organic foods, and there may be additional quality features where organic food is concerned. Thus several concepts referring to “inner” food qualities that are assumed to have importance for human health are used in connection with organic food (see, for example, Jensen et al. 2001, Meier-Ploeger and Vogtmann 1991; Woodward, Stolton and Dudley 1990). Methods of measuring the vitality of the food (picture-developing methods) (Schwenk 1991, Balzer-Graf and Balzer 1991) and its structural energy (Popp 1991) have been developed and used in research on organic food quality. Concepts such as “vitality” are certainly important for some organic consumers. Such concepts may also seem to be in keeping with the more tacit understanding of food quality expressed in lay terms by some consumers. Most of the studies reviewed refer mainly to the “eating quality” of organic food. The perceived better taste of organic food is raised in several studies, both in Italy, Denmark and the UK (and in studies from other countries). Both Italian and British studies indicate that quality aspects relating to appearance (size, uniformity etc.) are not considered very important by consumers buying organic food. Nor are deviations from “trade standards” important. Some studies indicate a perception among consumers that organic food keeps less well. Comparative studies disclose variation in the aspects of food quality that consumers care about (see, for example, Becker 2000). In keeping with this, the review indicates that consumer attitudes to the quality of organic food vary between countries and in different contexts. We need a more thorough understanding of this. 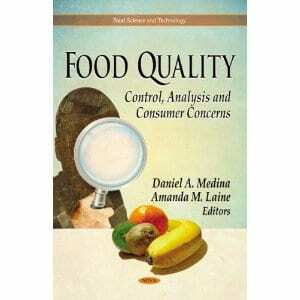 In particular, consumer conceptions of food quality and the perceived relationship between food quality and health need further investigation.